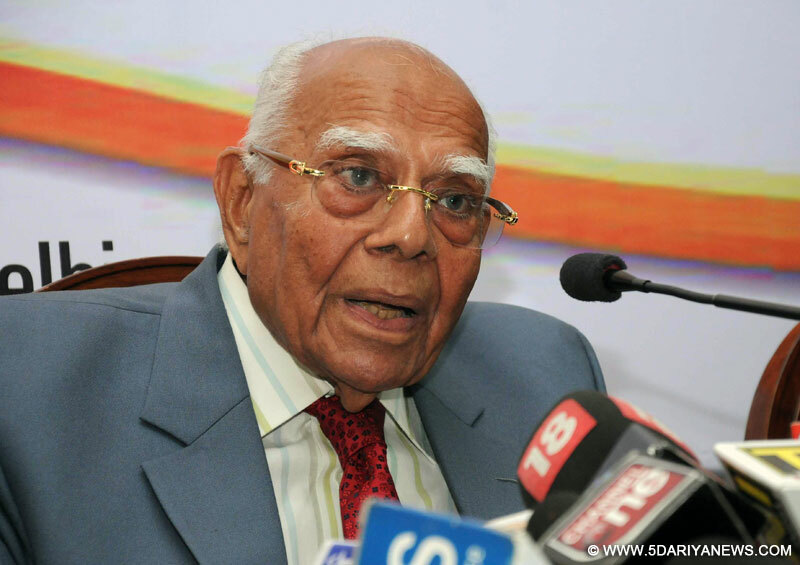 Former Union Minister and senior lawyer Ram Jethmalani on Saturday attacked the Narendra Modi-led BJP government for its alleged failure to fulfil its poll promises of bringing black money back to the country. "Till today, not one dollar of black money has been brought back. The promise of the government to put Rs.15 lakh out of the recovered black money in account of each citizen was only an election gimmick," Jethmalani said.He was delivering the valedictory address at the national seminar on 'Current challenges before the legal profession and the judiciary' organised by the Bar Association of India and Shillong High Court Bar Association at U Soso Tham auditorium here in Meghalaya. "The government is claiming to take steps to get the black money back to India but dacoits are withdrawing their money," said Jethmalani, who has been fighting a legal case over the issue of black money in the Supreme Court since 2009.